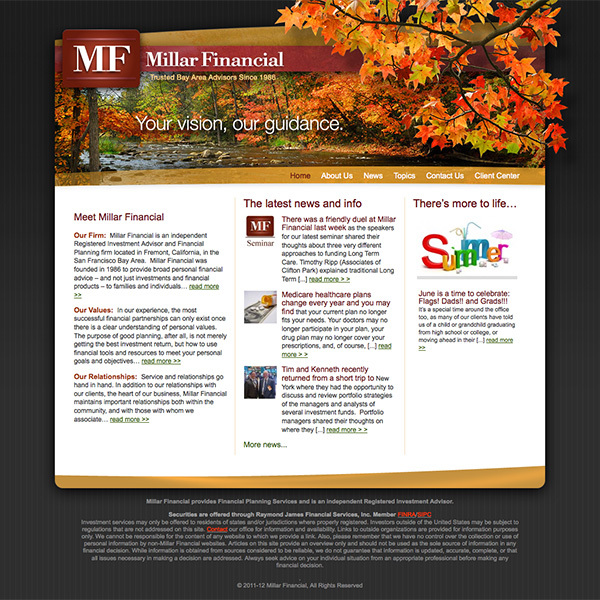 Millar Financial was commissioned by Mr. Bob West of Thought Nozzle in L.A., California. You should check out his design work! I was responsible of the development of the project and Bob was responsible for the design. Bob sent me organized PSDs and I got to work creating magic.